We strive to promote a campus environment that understands and embraces multiculturalism and diversity. Graduate education is key to the attainment of a satisfying career, better pay, and the development of new ideas and innovative research. Unfortunately, not all sectors of our society participate in graduate education at a level that is representative of the general population. Therefore, we must strive to increase participation in graduate education by underrepresented groups. UCF’s vision of fostering diversity and inclusiveness is shared by all members of the university community. The College of Graduate Studies strives to provide academic diversity by bringing national and international leaders to campus with the goal of familiarizing students and the community with a wide range of views and issues. 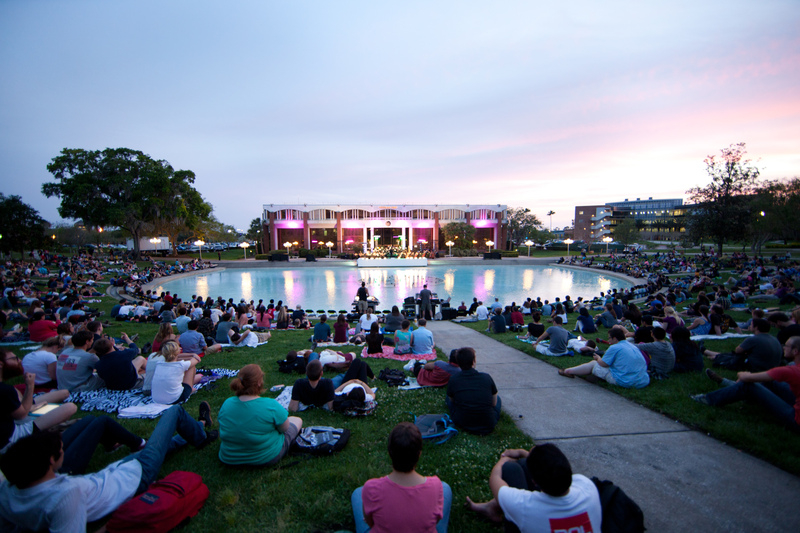 UCF achieves cultural diversity by using its multi-campus facilities to serve a diverse population of traditional and nontraditional students from various races, cultures, and nationalities. We strive to promote a campus environment that understands and embraces multiculturalism and diversity. We have a strong commitment to the importance of achieving diversity in our research and educational programs. The University of Central Florida’s College of Graduate Studies supports UCF’s vision of fostering diversity and inclusiveness and strives to increase participation in graduate education by underrepresented groups. We are committed to creating a campus environment that understands and embraces multiculturalism and recognize the importance of having a diverse group of students, faculty, and staff associated with our research and educational programs. We are also devoted to promoting academic diversity and will continue to create new programs that diversify our offerings and serve our community. Student, faculty, and staff diversity is a key, integral factor in graduate education. Offices such as UCF’s Office of Student Involvement (OSI), Multicultural Academic and Support Services, and the Office of Diversity and Inclusion provide resources, information on campus events, and ways to get involved in the UCF community. We also encourage you to become an active member of the Graduate Student Association. Information on graduate funding is available at https://graduate.ucf.edu/funding/. Additional scholarship details are available on the Office of Student Financial Assistance Scholarship Listing.